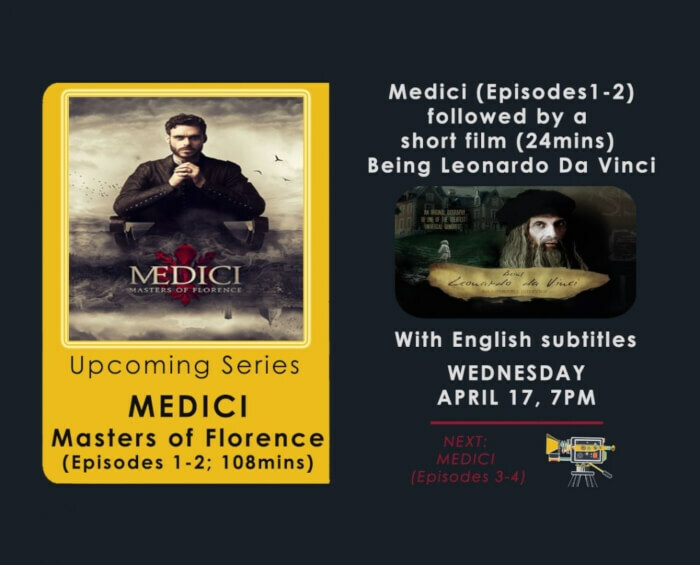 Masters of Florence is the first season of the Italian-British television drama series Medici about the Medici dynasty set in 15th-century Florence, starring Dustin Hoffman as Giovanni di Bicci de' Medici, Richard Madden as Cosimo de' Medici, and Stuart Martin as Lorenzo de' Medici. The series was co-created by Frank Spotnitz (The X-Files and The Man in the High Castle) and Nicholas Meyer (Star Trek II: The Wrath of Khan). Sergio Mimica-Gezzan (The Pillars of the Earth) directed all eight episodes. According to Italian ratings compiler Auditel, it attracted a record 7.6 million viewers. Plot: The series is set in the 15th-century Florence, and the protagonist is Cosimo the Elder, who was elected head of the Florentine Republic in 1434. Cosimo has inherited the Bank of Medici from his father Giovanni, who has been mysteriously poisoned. Through various flashbacks (20 years prior), we are introduced to Florence at the time of Giovanni, and to his relationship with his sons Cosimo and Lorenzo. Awards: Winner of the 2016 Capri TV Series Award.